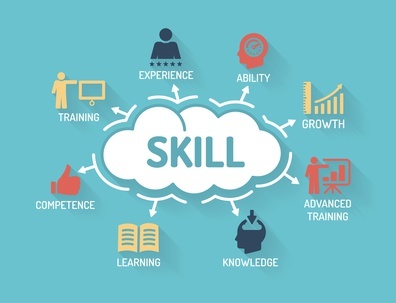 Training Skills For Better Performance is one of the courses we offer. Many of you will know this as Train The Trainer (TTT), but as a Trainer, would you feel you needed training? Would you shy away from a Train The Trainer course unless you were totally new to the role? All trainers, established and new trainers, will benefit from our training course, especially now when we have new technologies to contend with, approaches and even misconceptions that perhaps were not around when you started life as a trainer. We can all learn from each other’s experiences too when shared in the training environment. You might say that this is a play on words, but so are many marketing ploys that we see today. Our training course comes with best practice and reminders of things that should not be omitted when developing a course or preparing to run one. Our course covers tips for online training, but of course most of these refer also to face to face classroom training and other delivery methods. The Police have a Murder Investigation Manual which is a guide to investigating murders published by the UK Association of Chief Police Officers. When an investigation is being conducted, they will often refer to this to ensure that nothing has been overlooked, no stone unturned. Why not have the same for a trainer? We are currently developing one -Our Guide to Best Practices in Change and Training Management! 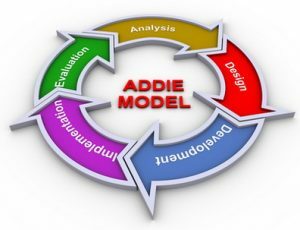 The methodologies of ADKAR (Awareness, Desire, Knowledge, Ability, Reinforcement) and ADDIE (Analyse, Design, Develop, Implement, Evaluate) are ones that we teach in our courses on Change Management and Training related subjects and we follow the ADKAR and ADDIE methods when working as consultants. Our comprehensive course helps trainers to see ways in which they could become better, more effective trainers using online technology. During the course there is an opportunity to practise planning and delivering a short training session on any subject, that you’ll refine during the programme based on constructive feedback. You’ll leave our course with an action plan for delivering effective training courses. Here is a quick summary of each of the main topics that we cover. If you are new to training, you may be of an age where you have been brought up with technology and social media and it is not such a daunting medium to use. However, if you are of the ‘old school’ (no offence meant) and have been training or teaching people in a face to face environment, the thought of moving to delivering training online where you have little or no visual sighting of your participants, may faze you to start with. We aim to give confidence using the various features of online training software, such as polls, chat, breakout sessions, question panel, quizzes and tests and more. Get a head start on how to prepare and effectively deliver an online course! We are talking of training adults rather than children. Adults tend to fall into one or a combination of categories as far as their preferred style of learning new topics. For each learning style there are activities and ways of training that appeal to the person who has that style as their predominant preference. We help you to understand how adults learn and ways to engage them fully based on their learning styles. How we communicate with each other has a great bearing on how we perceive the message(s) being delivered. Communication is not a one-way activity, if it was it might be called reading or listening such as to a story on an audio book. Many people have attended sessions where they are talked to, or sometimes even talked at, with little or no interactivity. Learning what effective communication is will go a long way to making sure your participants on a course feel truly participative and included. During the course we explain the difference between each and what percentage of a course should fall under each of the 7 activities. Questions are necessary in many of the 7 activities in order to elicit information from the participants. We cover how to phrase the questions so that you get informative answers in response and the different techniques used in questioning. This is the chance to deliver the course that you have been preparing in the previous sessions. A safe environment, amongst fellow trainers who are prepared to give encouragement and feedback to improve your performance, is what we aim to provide. You can get to ‘feel’ what it is like to deliver an online session and go away prepared for the real thing back in your own organisation. The methodologies of ADKAR (Awareness, Desire, Knowledge, Ability, Reinforcement) and ADDIE (Analyse, Design, Develop, Implement, Evaluate) are ones that we teach in our courses on Change Management and Training related subjects. We follow the ADKAR and ADDIE methods when working as consultants within organisations. We are developing a guide on managing change and training using these methodologies as the basis which will be coming out soon. Evolution Culture can help find a solution that works for each organisation, by providing consultancy as and when needed or taking the time to prepare your internal staff to deliver an effective change and training programme for your implementation.